Thanks for visiting my page at tilde.club! I hope you enjoy your time here. Thanks for making tilde.club, ~ford! Who is that friend on the top of the page? This friend is an earless seal, a mammal of the family Phocidae. 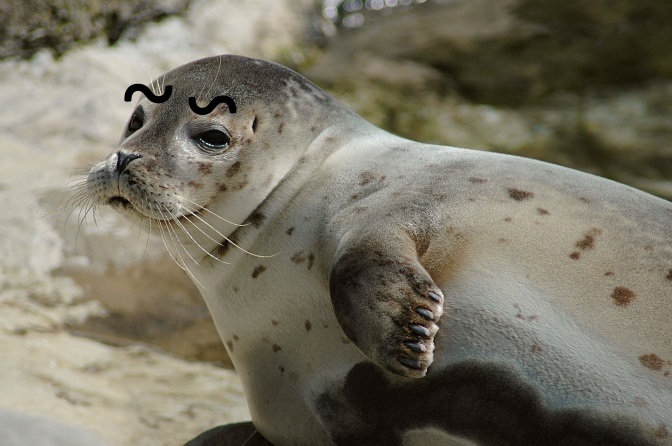 You can learn more fun facts about earless seals at Wikipedia. I learned about their ability to communicate by "slapping the water and grunting." This picture of a winky earless seal is my favorite picture on the whole Internet. Hey, who is this other friend? 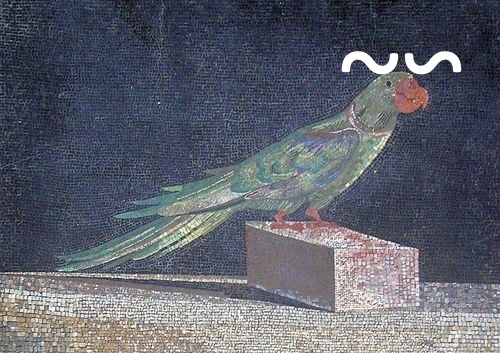 This second friend is a parrot from a mosaic on the Pergamon Altar, now on display at the Pergamon Museum in Berlin. Pergamon was an important city in Asia Minor (modern-day Turkey) during the Hellenistic period. I like this parrot friend because he has pretty feathers and has managed to escape the cruel ravages of time. For Halloween, I wrote some spooky reviews of my favorite episodes of Are You Afraid of the Dark?. If you want to revisit them, head here.